Leigh Riley Evans is the Chief Executive Officer of Mapleton Fall Creek Development Corporation. 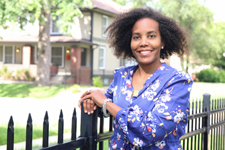 Prior to accepting the position in 2011, she was serving on the Community Building & 20/21 Steering committees having moved back into the Mapleton-Fall Creek neighborhood in 2008 to be close to her parents. Leigh has earned a Bachelor of Science in Psychology from Purdue University and a MBA from the University of Phoenix. Leigh is a strong believer of asset-based community development and creating sustainable communities. Leigh currently serves as a Commissioner for the Indiana State Fairgrounds and is on the LISC, Prosperity Indiana, Children’s Museum and Keep Indianapolis Beautiful board of directors. In her spare time, she likes to travel with family to sporting events. Leigh considers herself a change agent and enjoys fostering collaboration so that all lives are enriched with the gifts and talents that people can offer. Thomas Blair is the Senior Financial Officer of Mapleton-Fall Creek Development Corporation. Prior to accepting the position, he was a senior banking officer for twenty years. 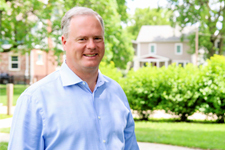 Thomas has earned a Bachelor of Science in Accounting and Finance from Virginia Tech and is a member of the CFA Society of Indianapolis, CPA Society and Urban Land Institute. Thomas currently serves on the National Investment Committee and Regional Operations Committee for the American Heart Association. 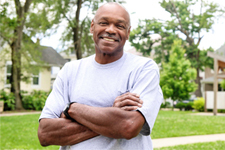 In his spare time, he is passionate about exercising and walking the neighborhoods of Indianapolis. With more than 15 years of counseling and foreclosure prevention experience and a working knowledge of market rate and government insured housing. On July 5, 2010 Courtney Goodwyn brought to MFCDC a tremendous amount of passion for homeownership. She earned a Master in Public Affairs from Indiana University, a licensed real estate broker and she is certified in Negotiations and Dispute Resolutions. 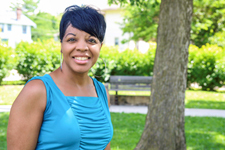 Her primary responsibilities include managing the CDBG Homeownership Repair Program, assisting individuals and families seeking homeownership in Mapleton-Fall Creek and conducting home sale transactions on behalf of MFCDC. Monica Lunderman is the Asset Manager for MFCDC. 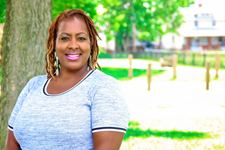 She has worked for many companies in Indianapolis including the NCAA, Finish Line, Sandor Development and Kite Realty Group, but she always wanted a job that combined her experience in property management/real estate with her passion for people and the community. She loves to volunteer her time, especially with organizations that help women and youth. In her downtime, she enjoys sports, Zumba, movies, traveling and laughing with friends. Richard is the groundskeeper for the administrative office and maintains the lawn care service for 70 Mapleton Rental Properties and four Pocket Parks. He has worked for MFCDC since May of 2013 and has over 20 years’ experience in the areas of housekeeping, maintenance, floor technician and a delivery driver. He is proud and very meticulous for the works he does for MFCDC/MP making sure all properties are maintained and looking it’s best throughout year. Brittany Rasdall is the Community Economic Development Manager for Mapleton-Fall Creek Development Corporation. 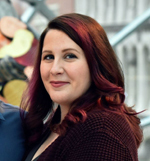 Brittany joined MFCDC in September of 2018. She brings with her 10 years of community development experience and a fervent passion for work that promotes success and well-being for all people. Brittany earned a Master of Architecture degree from Ball State University, with an area of concentration in Urban Planning. She continues to pursue her interests in urban and human studies through opportunities to travel, read, and engage with others. In her spare time, she enjoys spending time outdoors and creating lasting memories with friends and family. Becca joined MFCDC in March of 2019 as the new Leasing Coordinator. She brings to MFCDC a combined experience in real estate and office management. Interested in renting, buying, partnering, or serving with Mapleton-Fall Creek? We’d love to chat.